This log cabin practically grew into a town. It was built in 1880 by George Mandel, in a green valley where Sheridan, Wyoming, now stands. 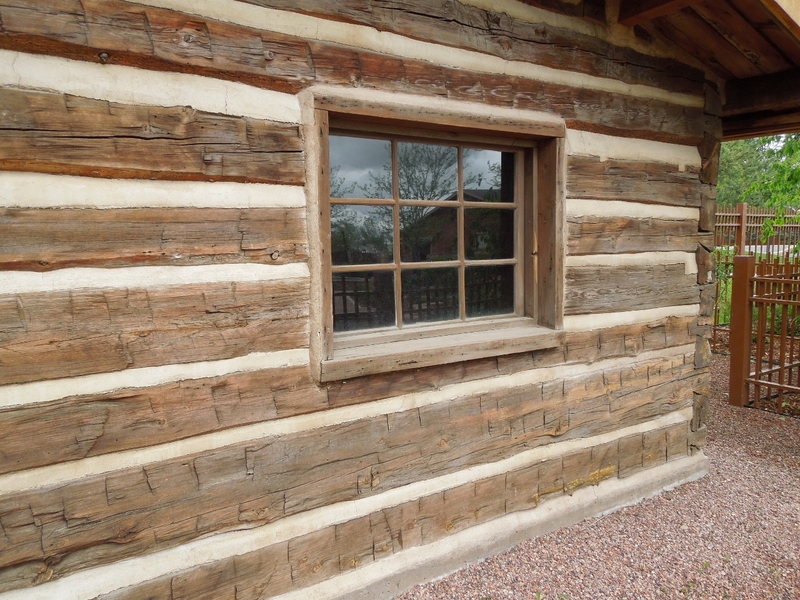 The logs are original and dovetail at the corners of the cabin. It was larger than at present, about 18 feet by 36 feet, and had a wood floor. Men squared off the logs with tools, and the marks still show. To handle mail in those days, you applied to the government, and once you were approved, you rode to a justice of the peace who swore you in as postmaster or postmistress. 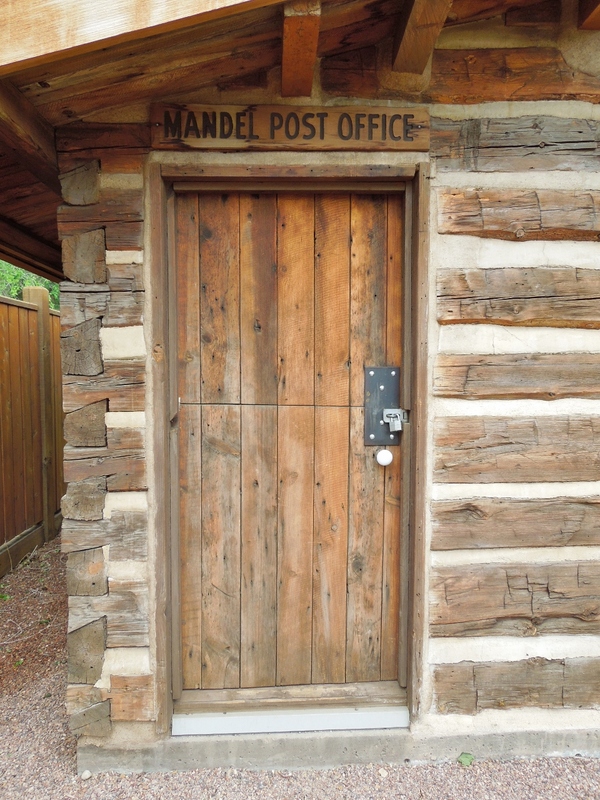 George Mandel did this, and because there was no town, he named the post office with his name. Below, you can see the sign over the door. John Loucks, a town founder, bought the cabin for $50 and was approved and duly sworn in as the new postmaster. Mr. Loucks used a cracker box to hold the mail in this cabin and started selling goods alongside, making it the area’s first store. 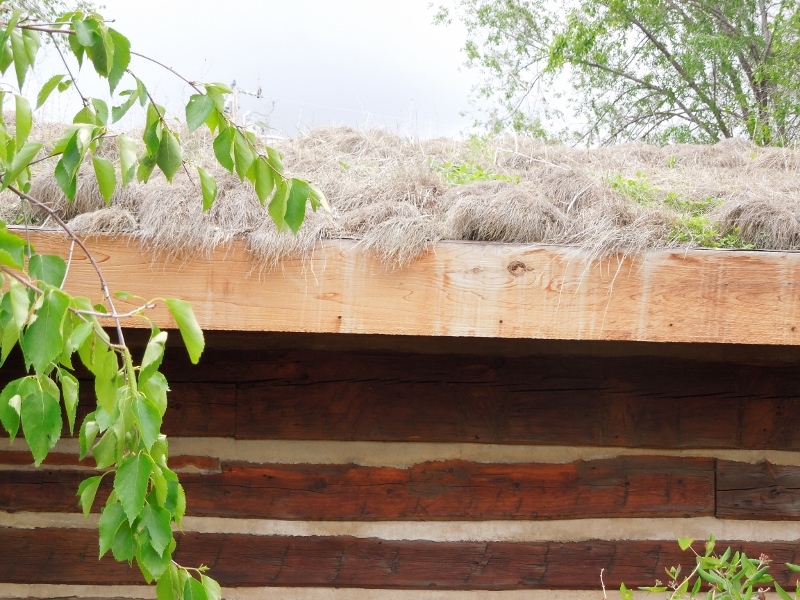 The gray sod roof of the cabin. The roots of the grass bind the soil. Then this cabin was moved and added onto, and it later housed the first law “office,” inside the store. 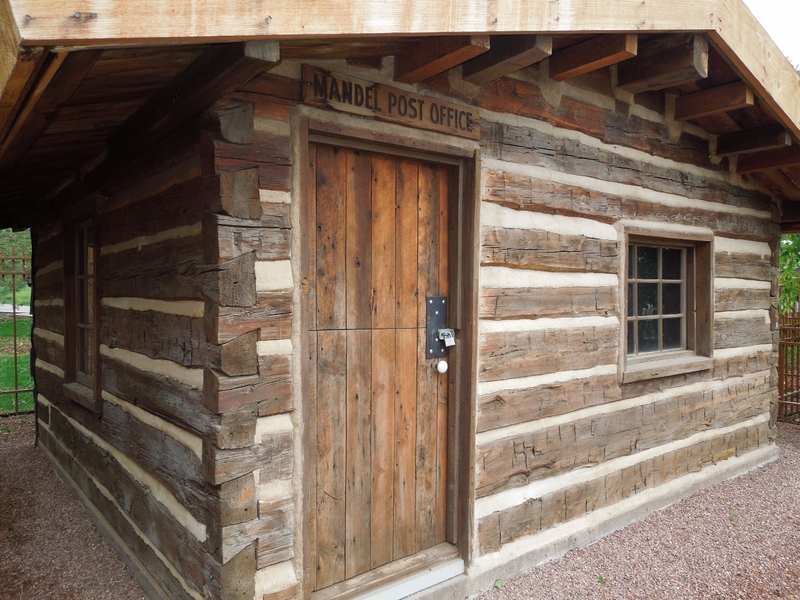 The Mandel Cabin and Post Office is now in Whitney Commons Park, very close to its original site. It is owned and maintained by The National Society of the Colonial Dames of America in the State of Wyoming. This group and the Wyoming Society deserve a pat on the back for preserving the cabin, giving tours, and printing brochures with the cabin’s story. I never heard of the places in the link, but I will visit some. Three of the California buildings are from the early 1800 and the Civil-War era Octagon House in San Francisco sounds beautiful. Thanks.